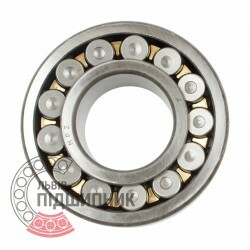 Bearing 22226 CA/W33, China. Type: self-aligning spherical roller. Double row. Dimensions: 130x230x64 mm. 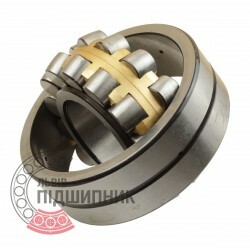 Corresponds to the bearing 3526Н GOST 24696-81. Net product price: 1 348,38 грн. Gross product price: 1 618,06 грн. Hurry up! Last items in stock! 1 618,06 грн. 3526Н (GOST 24696-81, formarly GOST 5721-75). Bearing 22226W33M ZVL, Slovakia. Type: self-aligning spherical roller. Double row. Dimensions: 130x230x64 mm. 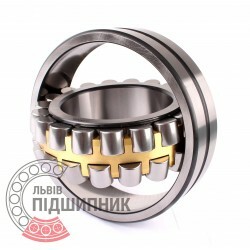 Corresponds to the bearing 3526Н GOST 24696-81. Net product price: 5 290,89 грн. TAX (VAT20%): 1 058,18 грн. Gross product price: 6 349,07 грн. Hurry up! Last items in stock! 6 349,07 грн. Self-aligning spherical roller bearing 22226CW33 DIN635-2 GPZ-9. Net product price: 2 400,09 грн. Gross product price: 2 880,11 грн. 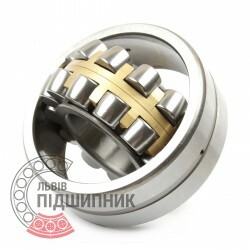 In stock 2 880,11 грн. Bearing 22226 MBW33 FBJ, Singapore. Type: self-aligning spherical roller. Double row. Dimensions: 130x230x64 mm. Corresponds to the bearing 53526 GOST 24696-81. Net product price: 3 526,71 грн. Gross product price: 4 232,05 грн. Hurry up! Last items in stock! 4 232,05 грн. Bearing 22226 CW33 VBF, China. Type: self-aligning spherical roller. Double row. Dimensions: 130x230x64 mm. 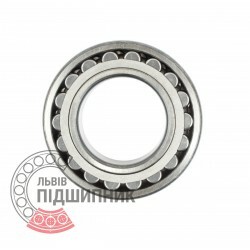 Corresponds to the bearing 3526Н GOST 24696-81. Available for order 1 736,06 грн. Bearing 22226 CA/W33 CX, Poland. Type: self-aligning spherical roller. Double row. Dimensions: 130x230x64 mm. Corresponds to the bearing 53526 GOST 24696-81. Net product price: 2 605,68 грн. Gross product price: 3 126,82 грн. Hurry up! Last items in stock! 3 126,82 грн.